Perfect interplay of dynamism and function: the BMW Cruise Bike. 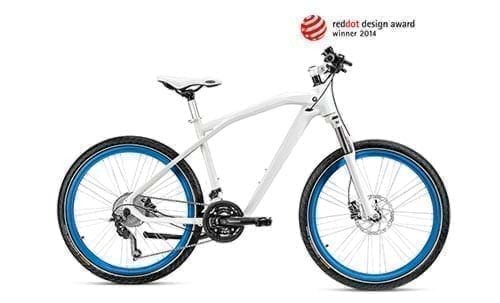 The design of the new bike from BMW uses typical BMW shapes – the striking "bull-neck" and the fine frame design with smoothed welded joints show how well this has succeeded. Due to their large air volume and distinctive profile, the Continental CruiseCONTACT tyres guarantee outstanding cushioning. Thanks to the "safety system", pointed objects and even small shards are not a problem. IMPORTANT: Brakes are manufactured according to EU specifications. For UK, the brake cables must be changed by a specialist (hydraulic brakes). The delivery includes an instruction manual, where you will also find a voucher. Continental CruiseCONTACT tyres with "safety system"